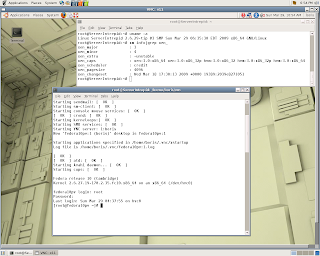 Posting bellow describes building Xen Unstable Dom0 with 2.6.30-rc6-tip pvops enabled kernel on top Ubuntu Intrepid Server (64-bit) with VNC  setup for remote access via Gnome Desktop to Dom0. 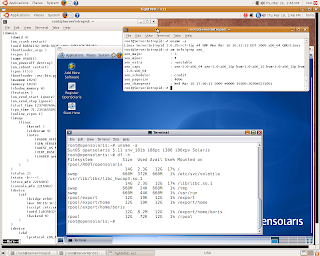 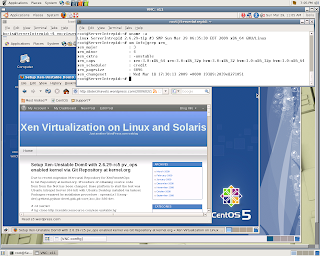 Fedora 10,CentOS 5.2, Solaris Nevada (b106), opensolaris 2008.11 PV DomUs have been successfully tested to run VNC sessions initiated via gnome terminal running at remote Dom0 desktop. 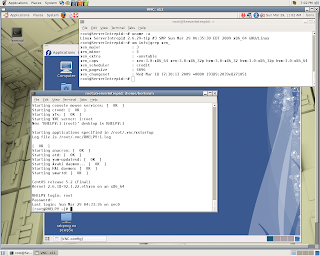 PV_OPS enabled kernel is based on checkout branch mentioned above. 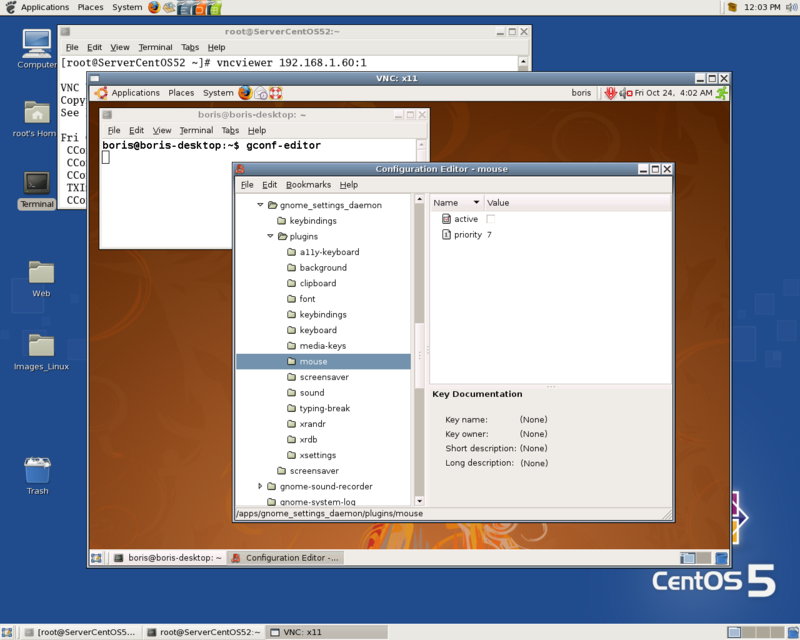 Packages required by installation procedure : openssl-dev,x11(xorg-dev),gettext,python-devel,gitk,git-core,bcc,lbc-386-dev. 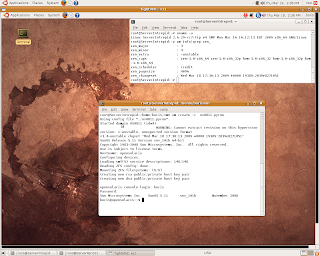 I presume that Ubuntu Desktop had been installed via tasksel utility at the very beginning. 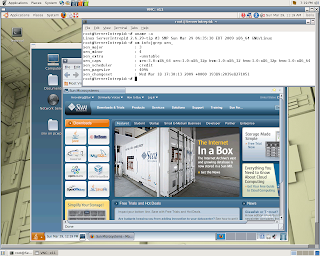 It is about 600 MB download automatically followed by package installation phase. 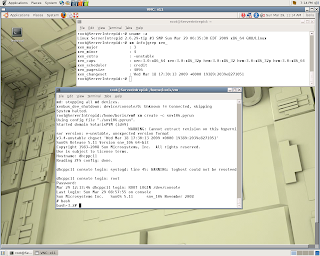 Booting into Xen Unstable Dom0 with 2.6.29-tip pvops kernel will bring you into text mode environment, where following bellow actions should be undertaken. 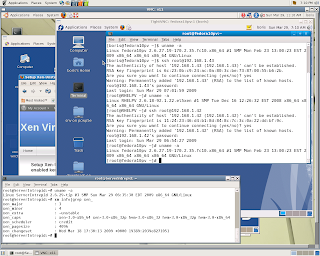 will merge mainline Linux and it is supposed to happen due to in a foreseeable future KVM won’t demonstrate performance close to Xen Paravirtual Guests. 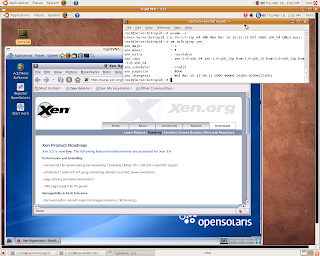 You are currently browsing the Xen Virtualization on Linux and Solaris blog archives for March, 2009.